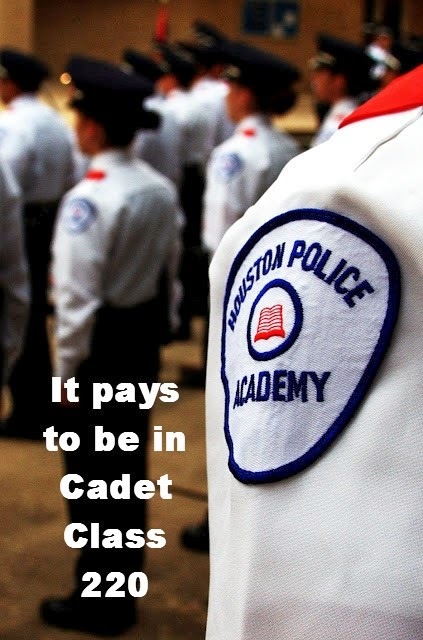 THERE IS A $5000 HIRING INCENTIVE FOR APPLICANTS HIRED FOR CADET CLASS 220, WHICH STARTS IN JUNE 2014! 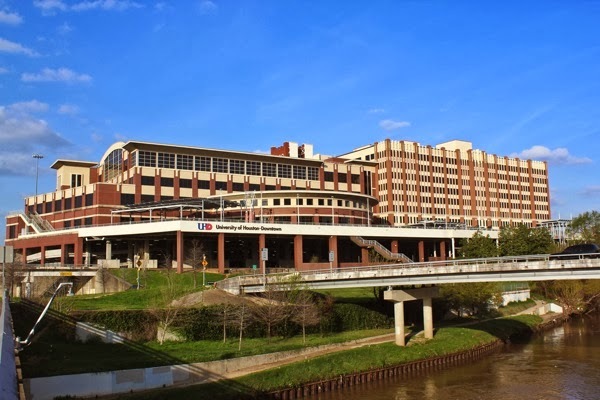 In order for you to get through the entire process in time for the June class, you will need to have your interview scheduled on or before April 18, 2014. 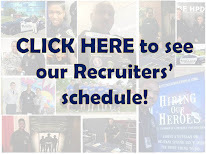 For more information, go to www.hpdcareer.com or call the Recruiting Unit at 713-308-1300 or (800) 252-0473. 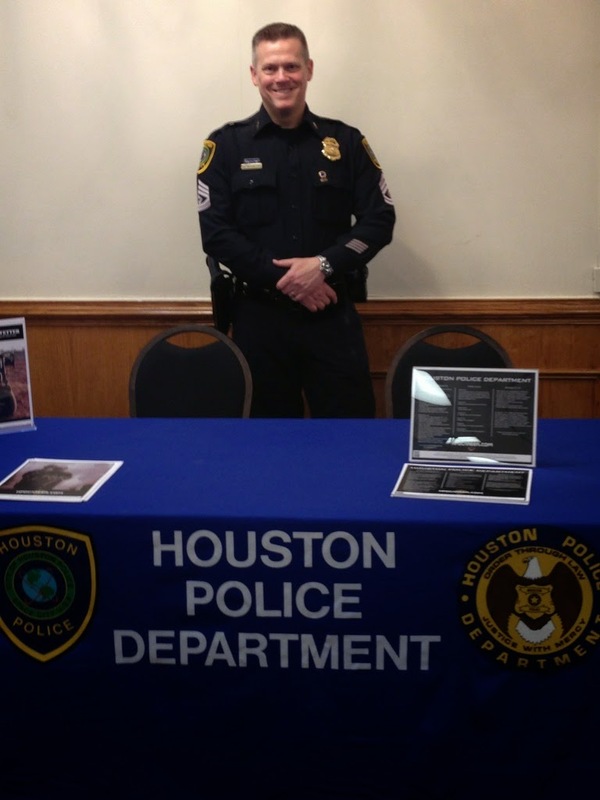 Senior Police Officer H. McDonald is ready to talk to potential cadets at the job fair in Killeen, Texas. 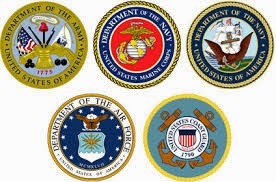 A modification to the military requirement now allows for 18 months active duty with an honorable discharge. Chief Charles McClelland also announced a $5,000 hiring incentive for cadets hired for the June class (Class 220). Cadets will get $2,500 when they complete the first 30 days of the academy and $2,500 when they graduate. Sgt. Kiesewetter is at the CivilianJobs.com Job Fair at Ft. Lee, The Regimental Club in Ft. Lee, Virginia. He will be there until 2pm local time today, Wednesday, March 26. 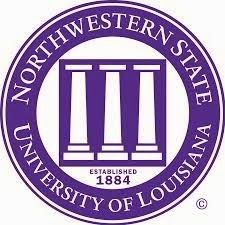 For more information on the job fair, go to www.civilianjobs.com. 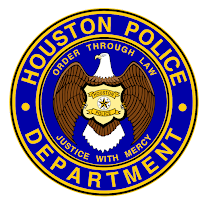 Remember, 18 months of active duty with an honorable discharge is one of our qualifiers for employment with HPD. 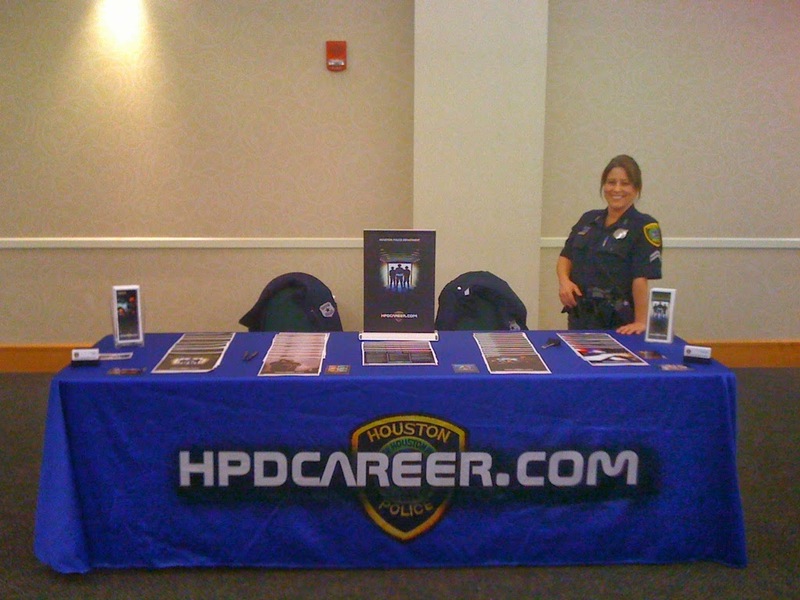 For more information about joining HPD, go to www.hpdcareer.com or call the Recruiting Unit at 713-308-1300 or (800) 252-0473. 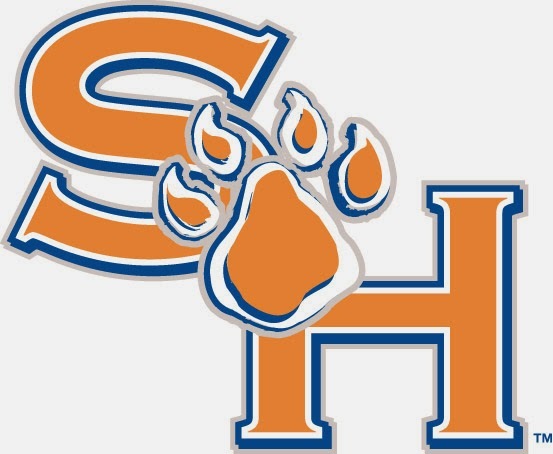 HPD Sgt. Kiesewetter is at the Non Commissioned Officers Association (NCOA) job fair in Newport News, Virginia today from 10am - 2pm at the Newport News Marriott at City Center, 740 Town Center Dr., Newport News, Virginia. 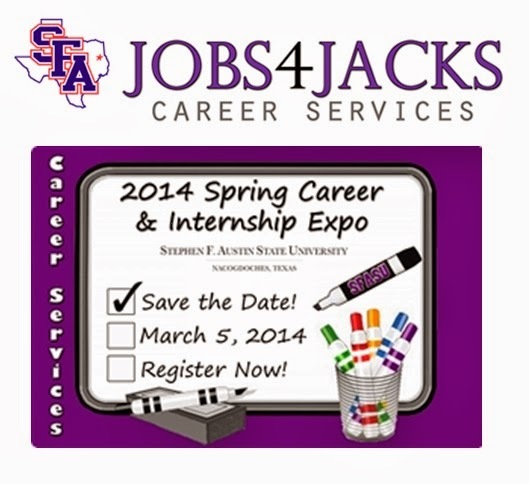 Stop by and see how you can start your career with HPD. For more information about the NCOA, go to this link. 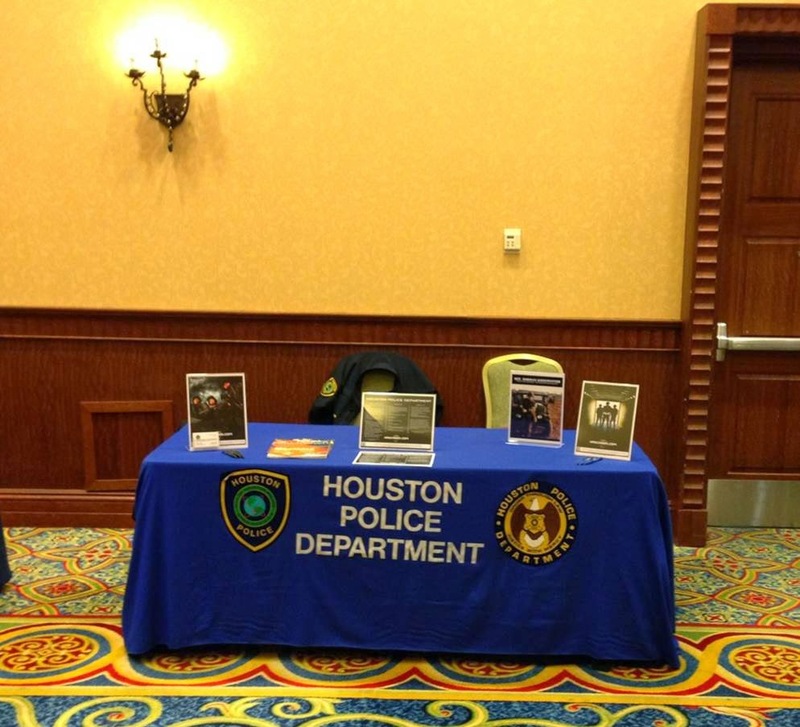 Come out on Tuesday, March 25 from 9am - 11am and speak with one of our recruiters about starting your career with HPD. Our military requirements have changed. Now you can apply with us after completing 18 months of active duty and receiving an honorable discharge. 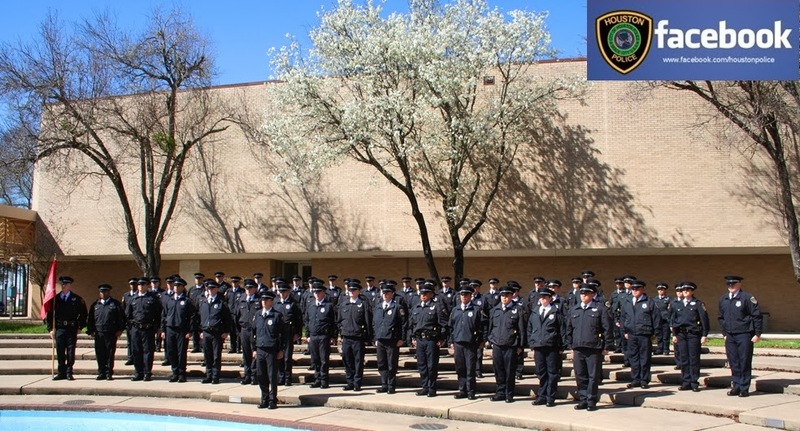 Big News about HPD Cadet Requirements! The change is to #2. Previously, you needed 2 years of active duty; now you can apply with HPD with 18 months of active duty and an honorable discharge. 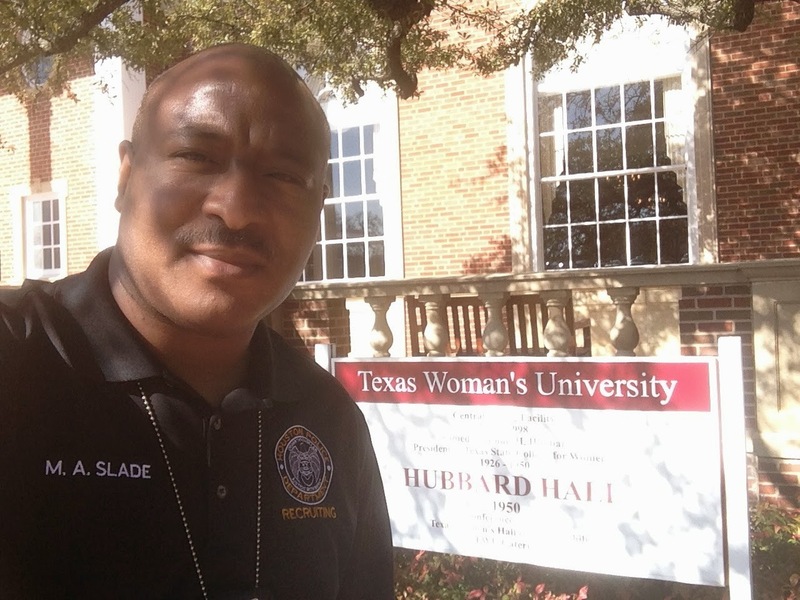 Right now until 3pm today, Senior Police Officer Mark Slade is at Texas Women's University in Denton answering questions about how to start your career with HPD. HPD Mounted Patrol Horse Smash has special sponsors. Here they received the Chief of Police Humanitarian Service Award at the most recent awards ceremony. 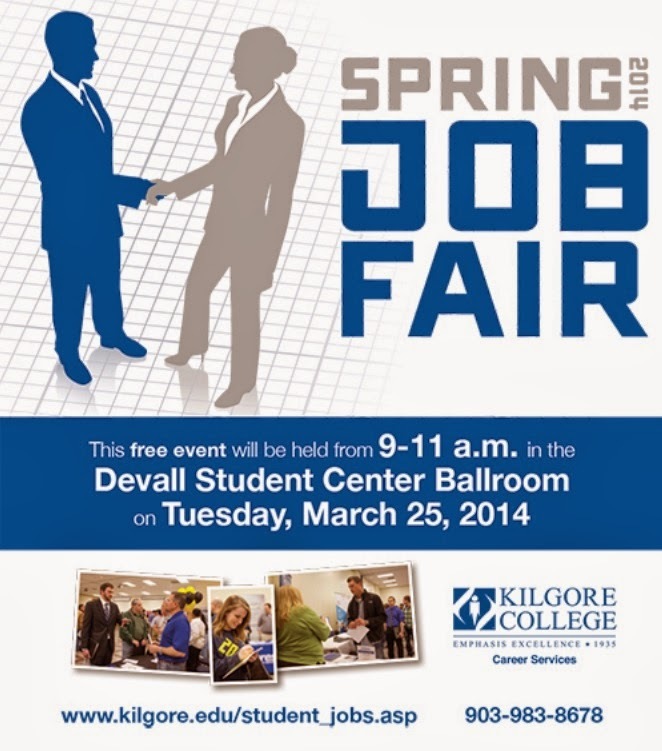 Our recruiters will be on campus Tuesday, March 18 from 11am - 2pm. 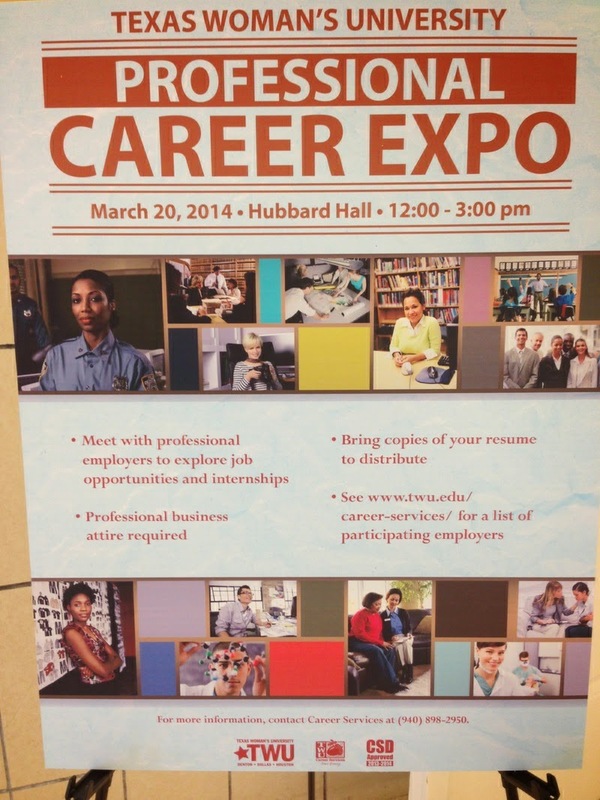 Stop by and get information about starting your career with HPD. Senior Police Officers Betty Doss and Michael Henke talk about their experiences riding the trail ride during rodeo season. Here is a story KPRC Channel 2 did on one proactive program that HPD does year round. For more information on this program, contact the patrol station nearest you and ask to speak to a community service officer. 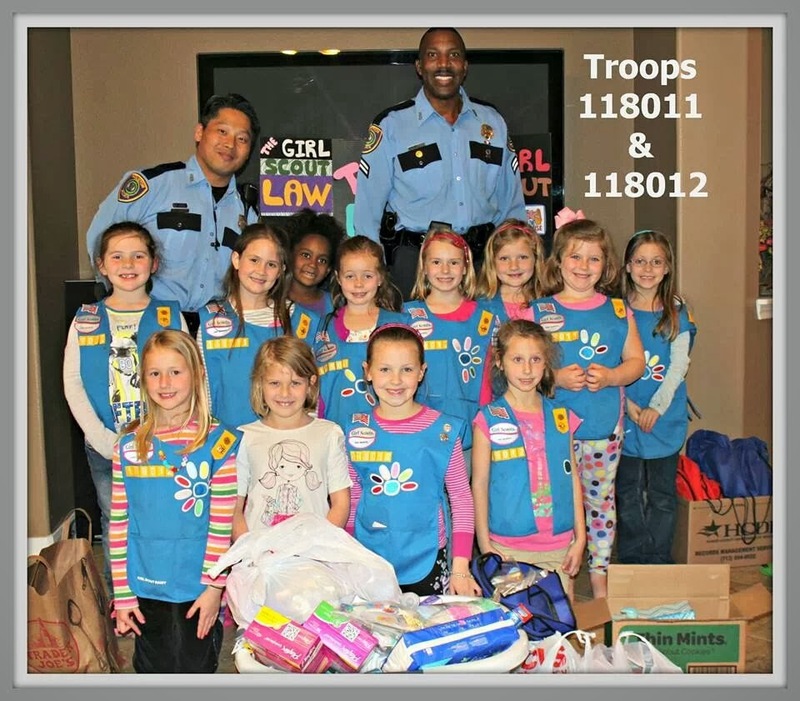 Eagle Springs Community Girl Scout Troops 118011 and 118012 helped collected 3 huge bags of personal hygiene products to be donated to the Houston Area Women's Center. Great big thanks to the Troop Leaders and Mothers for their time in assisting future leaders in giving back to their Greater Houston Community! Senior P.O. W.V. Jones and Officer. J.K. Rose met with these beautiful young ladies and spoke about leadership, helping & giving back to the community and personally thanked them for their great deed. 3. TV computer hackers, especially those employed by the police, an instantly tap into any video feed, satellite imagery, internal database, or record ever created by man, even though the record exists only on paper and has never been digitized. 4. TV cops involved in deadly force incidents immediately return to duty, often without so much as filing a report. 12. 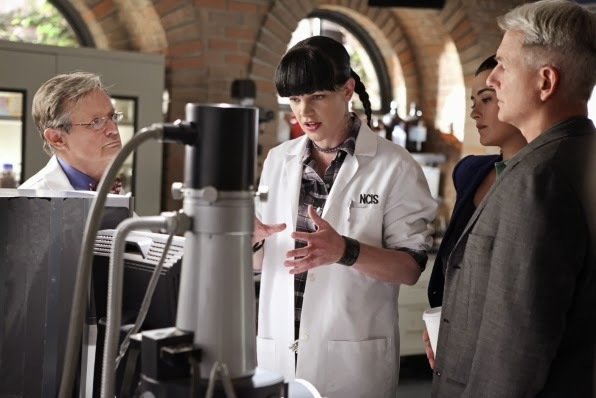 TV cops, especially women, can carry and conceal large handguns, extra magazines, handcuffs and badges under the most fashionable outfits, and you will never see them until the moment before they haul them out. 20. Any TV cop can pick a lock with no more than a bent paperclip. Hmmm, they never taught us that in the academy. 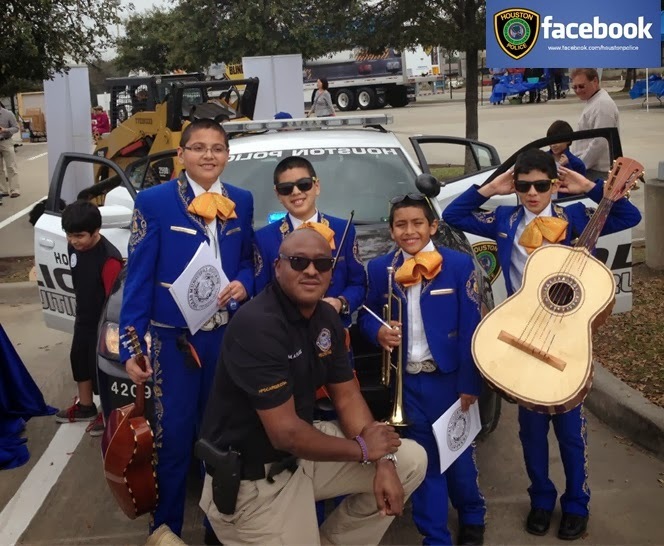 Senior Police Officer M. Slade visited with HISD students at the "When I Grow Up" Expo this past Saturday. SPO Slade answered questions about what it is like to be an HPD officer. Thank you to everyone who has helped the Tweedie family. HPD Recruiters out this weekend! 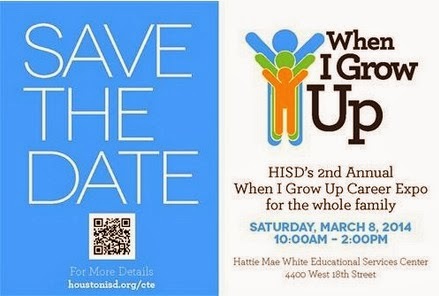 SPO Slade will be speaking to students at HISD's "When I Grow Up" career expo. Come and see how exciting work with HPD can be. 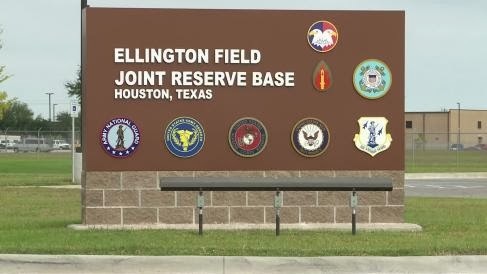 SPO McDonald will be at the National Guard, Military Police Unit, Building 1056, at Ellington Field on Sunday, March 9, from 2pm - 3pm. If you have any questions, go to www.hpdcareer.com. 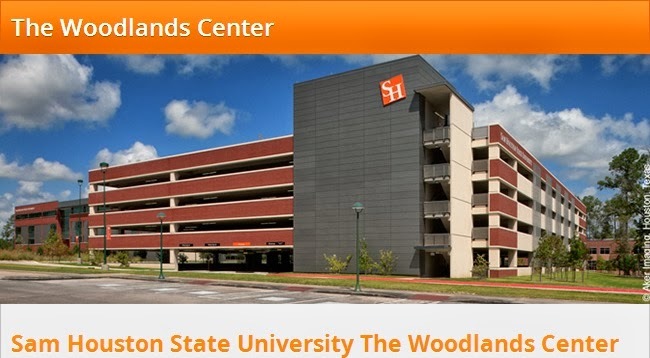 Officer J. Jones will give a presentation to a Criminal Justice Class on the campus of SHSU - Woodlands, 3880 College Park Dr, Room #240 on Tuesday, March 4 from 1pm - 2:15pm. 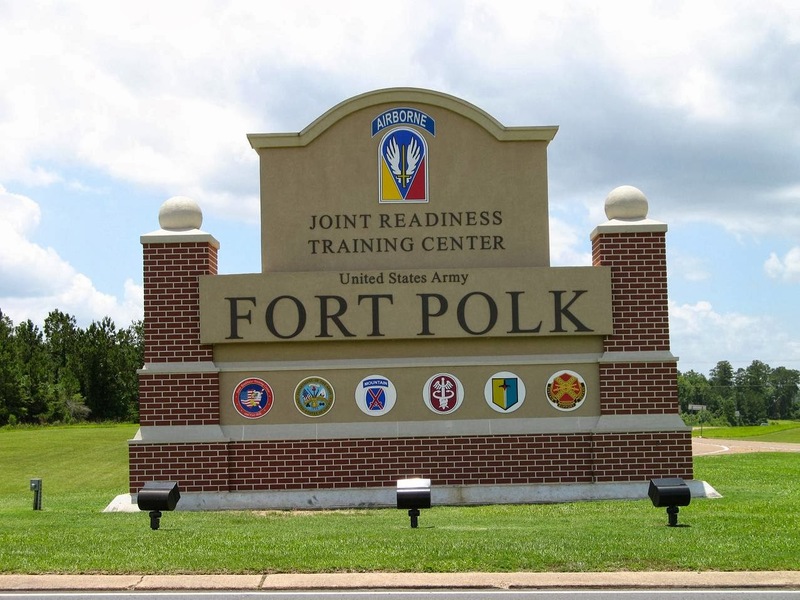 Follow this blog to see where our recruiters will be.